Names like the Battle of Little Bighorn, General Custer and Geronimo are recognisable to most of us on account of the great Western movie tradition that has long dominated our television screens. 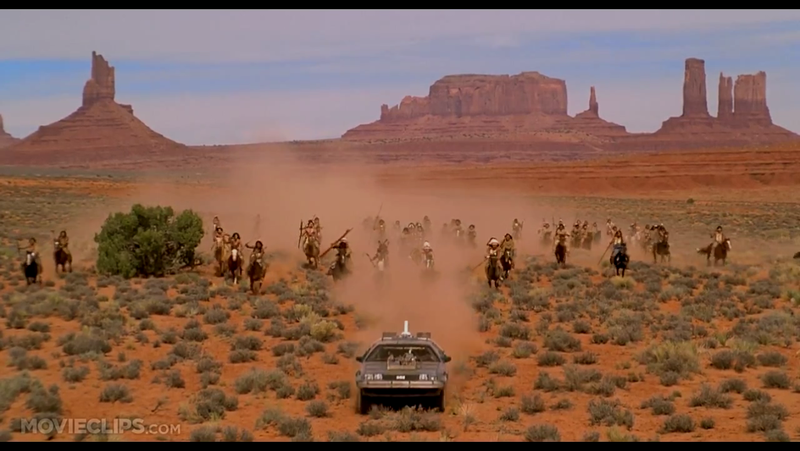 Most people would name the likes of John Wayne or Clint Eastwood when recalling this genre, but if you’re of my generation, one of the most memorable scenes has to be Marty McFly being plunged back to 1885 in the middle of a United States Cavalry pursuit of Native Americans in Back to the Future, Episode III. It’s the noise of hooves pounding the scorched ground and clouds of dust kicked up in the charge, combined with the familiar sound of Native American ‘war cries’ that defines so many depictions of this genre. Most of my knowledge of this period was previously based on the fictional or half-true accounts portrayed in such films, but now the discovery of an ancestor caught up in the renowned American Indian Wars has truly captured my attention. It all begins with a boy from Worcestershire, Kidderminster to be precise. Henry Rogers Moorby, my first cousin, four times removed was born in 1853 to Edwin and Rebecca Moorby, who incidentally were married in my hometown of Birmingham at St Martin’s in the Bull Ring. When the Moorbys left England for America isn’t yet known, but the birth of a new addition to the family, by the name of Henrietta is recorded in New York in 1858. From this we can presume that Henry was at least five, but probably younger when he left for America with his family. Three years later the family had moved once again, this time to New Jersey. We’ll never really know why the Moorbys set sail for America but as the 1850s were part of one of the biggest waves of immigration to the US from Europe, we can only assume that they too, were in search of a better life in the ‘great land of opportunity’. But this isn’t the part of Henry’s life that’s gripped my attention. Instead I need to skip forward to 1876 when Henry was twenty-three years old. Staying true to his nomadic lifestyle, he joins the army, enlisting with the 4th Cavalry in Jersey City. His enlistment papers describe him as 5’5″, fair complexion, grey eyes and brown hair. This was a time of great land hunger and the strong economic developments such as the railway boom of the 1850s and 60s demanded enormous resources. The population had also been nearly doubling every twenty years from 1800 up until this point and the main task of the US army was supporting the government in ‘consolidating’ the nation. But what did that exactly mean? 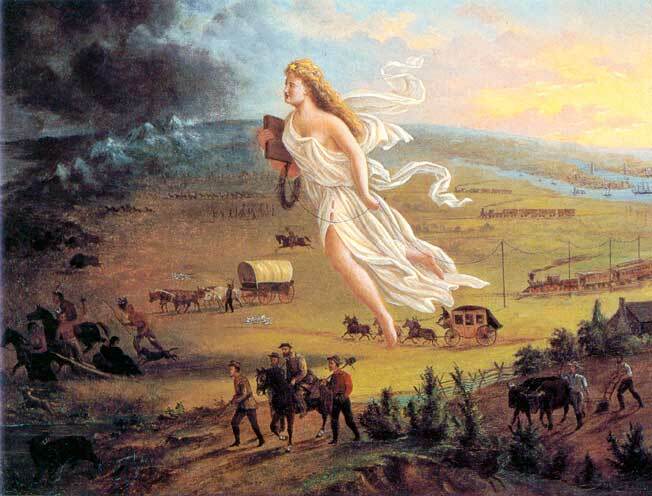 The ensuing government after the Civil War set out to unify America and complete what many nineteenth-century Americans called their manifest destiny, to conquer land from east to west, thereby sowing their ‘superior’ way of life. The idea of exceptionlism fuelled the policies behind the pioneer settlement and gave justification to the removal of an ‘inferior’ race from this newly-conquered land. The Great Plains, where the majority of the army were based in 1876 were simply the missing link in that manifest destiny. This was frontier land, wild and unruly and ‘up for grabs’ as the US government saw it. The outrage for the many Native American tribes was that they’d been moved here from their native homelands as a result of the Indian Removals Act of 1830. This relocated tribes west of the Mississippi River on what was considered to be poor land with harsh climates, thereby making space for the new white settlers on ‘vacant’ fertile farmland. But east of the Mississippi was quickly becoming overcrowded as the population continued to soar and the insatiable appetite for more territory convinced the government that the lands of the Great Plains weren’t so bad after all. 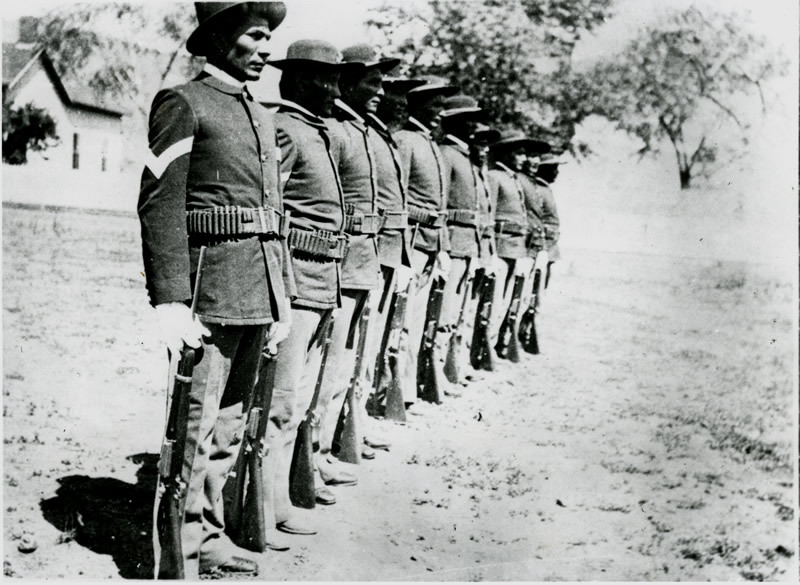 It was this land battle that defined the many struggles of the American Indian Wars. As a member of the 4th Cavalry, Henry would have been at the very centre of this conflict as the regiment are known to have been based in the likes of Arizona, South Colorado and New Mexico after 1876; their main duty being to project the pioneer settlers and their lands. But joining the army at this time wasn’t the most appealing of options. It was persistently under-resourced and in 1874 was only 27,000 strong, but responsible for manning two-hundred posts, roughly 135 men if divided equally for each station. The army even made it difficult to spend wages, as troops were paid in paper money which wasn’t yet readily recognised in the West, having to be exchanged at a loss, for coin. Although many recruits may have joined for adventure, it was reported that nearly twenty percent of the army deserted between 1873 and 1876, usually as a result of boredom. Recruits even petitioned Congress in 1878 complaining that their duties simply consisted of building bridges, roads and telegraph lines. But all of these amenities were essential in isolated and vulnerable frontier communities, and the army was crucial in maintaining this new way of life. Nevertheless there must have been other motivations for joining. The Long Depression had already been raging for three years by the time Henry enlisted and would continue for another three until 1879. 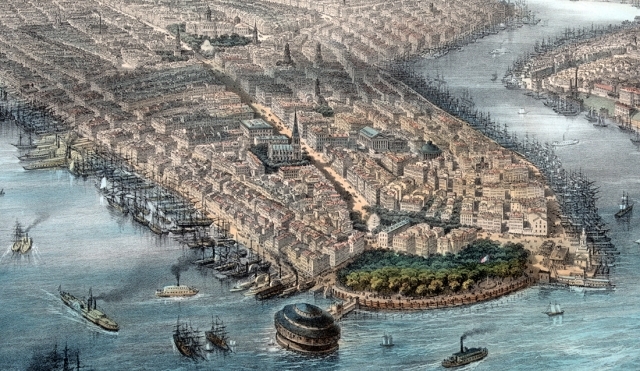 One in four labourers in New York and no doubt the situation was worse in New Jersey, were out of work and as a brass moulder, Henry would have suffered the brunt of it. Manufacturing and construction were the main causalities of this recession and with one million unemployed the army must have seemed like a good option. A guaranteed $13 a month for a private in 1876 and the assurance of filling your belly, despite the rations consisting of poor meat, hard bread, beans and strong coffee was seemingly more appealing than life as a civilian. 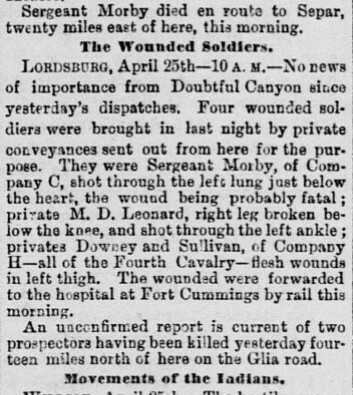 Another event that presumably acted as perfect propaganda in 1876 was the news of Custer’s defeat at Little Bighorn. But it wasn’t just a defeat, it was an annihilation of 268 men from the 7th Cavalry at the hands of the Lakota Sioux and Cheyenne warriors led by Sitting Bull. The reaction was one of outrage and shock, and the timing couldn’t have been worse. The news would have reached the American public during the celebration of the nation’s centennial. America was a hundred years old and for all its economic and political ‘superiority’ it had just been defeated by what many saw as a primitive people standing in the way of natural progression. There’s much more to this story, namely in the fact the Native Americans weren’t primitive at all and grossly underestimated. But the point of mentioning it here is to colour the background and frame the political scene of the America that Henry was living in when he enlisted. 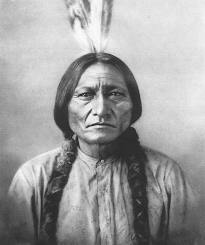 The legend of Custer must have played a part in persuading young patriotic men to enlist. Henry did, after all join just four months after the infamous battle and this together with poor economic prospects probably fuelled his decision to abandon civilian life. 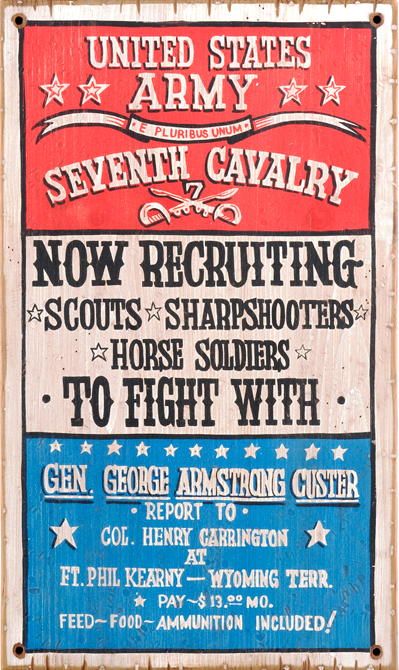 This perfectly supports other accounts from that day, namely that ‘Forsyth raced up with Companies C, F, G, H and M of the 4th cavalry.’ The colonel’s call for reinforcements would spell the fateful demise of Henry as he was caught up in the subsequent gun battle with Apache warriors and shot ‘through the left lung just below the heart; the wound being probably fateful’ and it was. Of course the ‘probably fateful’ explains why he died two days after the attack ‘on cars between Lordsburg and Separ’ as Forsyth sent the wounded by train to the former for treatment. Henry, no doubt was on one of those carriages, dying before he reached the town. Cutting from the Sacramento Daily Record-Union, dated April 26th 1882. A search of the U.S. Registers of Deaths in the Regular Army, 1860-1889 for Henry confirms his cause of death noting that he died of ‘gunshots of chest’. It would be naive to assume that this is an objective account and the phrase ‘cowardly’ is equally problematic, but nevertheless in terms of confirming the number of scouts killed and the presence of Yuma Bill, it perfectly supports the report from the Record-Union. As for William Kurtz, if Henry can be described as ‘lucky’ for surviving two days after the battle, the private was desperately unfortunate being shot in the head and no doubt dying instantly. Henry’s story ends at Fort Bayard, now a national cemetery in New Mexico where he’s buried. This, however, wasn’t his first resting place as he was reinterred at Bayard on 9th May 1884 having been moved from an earlier point, still to be determined. As for the other five men, no records of their burials appear, but considering that the army would very often bury the dead where they fell, chances are they are resting somewhere very near Stein’s Peak today. Who’s remembered and who’s forgotten has always fascinated me and this story proves not so much that history is written by the victors, but more that rank and position frequently make the headlines. For me, history is an abridged version of the past missing many detailed footnotes. Yet, social history which has been described as ‘the history with people put back in’ has always been my starting point for understanding the bigger narratives of the past. By ‘getting to know’ the likes of Henry and adding names to the nameless, I’m able to appreciate the human story behind this bigger chapter of events. Although we think we ‘know’ history, we are often more acquaintances than good friends, but by trying to understand the actions and motivations of the people involved, just like those in the skirmish of Horseshoe canyon, we can infuse colour back into a faded picture of the past. Newman Brothers at The Coffin Works opening October 28! Who Were the de Birminghams? Depiction of medieval Birmingham at the end of the 13th century, with St Martin’s Church sitting at the centre of the town. Burgage plots were characteristically long and narrow, but pressure to subdivide land on account of prosperity and population growth resulted in subdivision of plots making them smaller as you can see in the top right-hand corner of the image. A cattle horn core found during the Bull Ring excavations in the late 1990s. Horn cores were the only waste product from the cattle, as everything else including the meat, skin and horn were sold. Start of Super Montem or High Street in 1296. This was no doubt used by drovers to bring their cattle to market in the town. A man who means business! Roger le Moul’s courtyard house, located on what later became Moor Street. The beginning of Park Street around where Selfridges is today.